Waffle On about Fear and Loathing in Las Vegas. Hello and welcome to this months epsode of Waffle On in which Meds and Kell take a look at the film Fear and Loathing in Las Vegas. 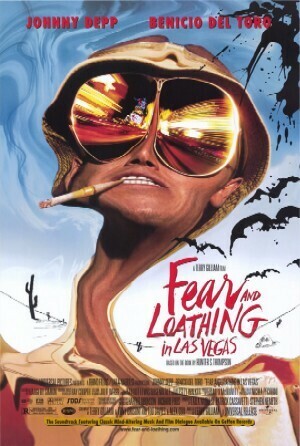 Written and directed by Terry Gilliam and based on the book by influential author Hunter S Thompson the lads get quite passionate about this screen gem. Audio comment by Phil Hayes offers an additional insight towards this film and we hope you enjoy listening as much as we enjoyed talking about it. If you end up wanting to see the film or buy the book then why not use this link below which helps Waffle out. If you fancy joining our group at Facebook just type in Waffle On Podcast and we will happily open the door. Please do leave us reviews on iTunes, Stitcher Radio or whatever podcast catcher you use.